Since 1987, New Horizon Foods Inc. has been very successful in providing Contract Food Service Management Services. We are a professional Food Service Management Company specializing in senior dining services, residential programs, schools and employee cafeterias. We guarantee that you will be pleased with our performance in the management of your food service program. We currently service Colorado, Connecticut, Florida, Iowa, Maryland, Massachusetts, Michigan, Minnesota, North Dakota, Ohio and Wisconsin. Our management team is dedicated to providing maximum flexibility in meeting your needs. Our food service programs are designed to increase participation, as well as satisfaction and morale. We are confident that you will find our menus, ideas, promotions, and creativity to your liking. We are small enough to care and big enough to do the job right. Our management expertise gives us the capability to manage food service programs efficiently and cost effectively. From resident luncheons to menu planning, we meet all of your food service needs. Our management team is dedicated to providing maximum flexibility in meeting your needs. We guarantee that you will be pleased with our performance in the management of your food service program. 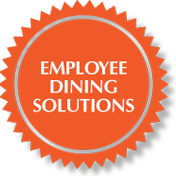 Our goal is to establish a mutually beneficial relationship with your company and help assure the success of your food service program. Our managers care about quality assurance and have a daily awareness of facility cleanliness and product quality. We have developed a team concept for our employees, which along with motivated pay scales and promotions from within, benefits our clients with reliable consistent service year after year. 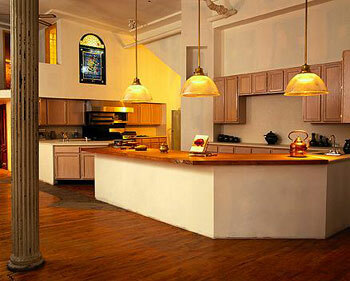 To provide a professional service uncompromising to our customers and peers. To grow through customer satisfaction of our services rendered and product produced. Our goal is to increase our client's reputation and, in return our own. Contact New Horizon Foods Inc. anytime for a professional Food Service Management Company. Kudos to all your hard-work and dedication to NHF and Our Partnering Communities! A total of 42 managers have celebrated either 5 years, 10 years, 15 years, 20 years, 25 years all the way up to 30 years! This doesn't include the managers who fall in between these years of service!